De Telegraaf have suggested that Liverpool are one of the clubs looking to sign Steven Bergwijn from PSV this summer. The 21-year-old – who has racked up 12 goals and 13 assists in all competitions – looks set to depart from the Eredivisie. According to De Telegraaf, it is only a matter of where he goes and not when. The Dutch newspaper list Liverpool as one of several clubs after Bergwijn’s signature, which is hardly surprising since we were linked with him last year too. 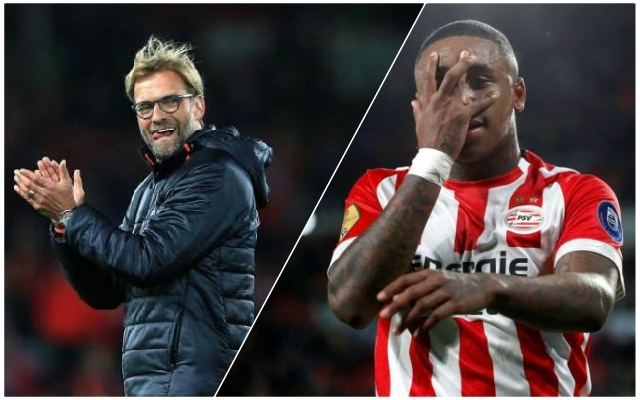 We need another versatile attacking player and it could be Bergwijn that Jürgen Klopp looks to recruit. But we’re not the only ones aiming to add him to our attacking riches. De Telegraaf also suggest that Tottenham Hotspur, Manchester United, Bayern Munich, Borussia Dortmund, and Inter Milan are all looking to sign him up too. De Telegraaf estimate that £30m would be the minimum PSV would accept for the young winger. At that cost the Eredivise side would break their player sale record – last set by a certain Memphis Depay. The Dutch outlet have also said that Bergwijn’s final Eredivise performances this season will set the benchmark for any further increases to his transfer value come the summer. We’ll have to wait and see how this one plays out, Reds.